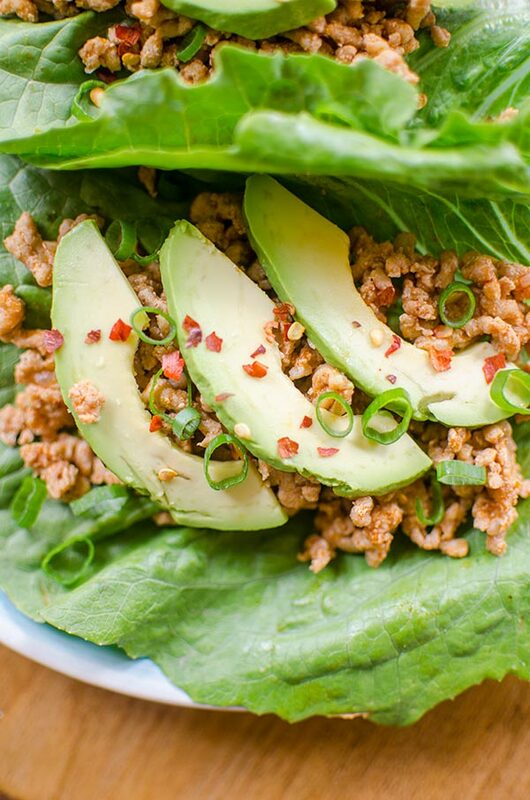 Easy chicken lettuce wraps come together in 20-minutes and are loaded with flavour from ginger, lime juice and smoked paprika. Near the beginning of January, like so many others, I did a little bit of a reset, when I say a little bit, I mean a 5-day clean-up and reset sort of thing (ok, honesty hour: I lasted three days–one of the best sandwich places in Toronto happened to deliver to my office that day and I couldn’t say no). I did this mainly as a way to start my January off on the right foot. 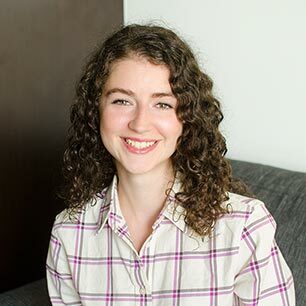 I cut out of all the regular things that these sort of plans tell you to do, and the hardest part ofr me was not having coffee in the mornings! I told one of my friends I was doing this and she answered “Lou without black coffee?!?!”. Black coffee is part of me. But I needed to break up with caffeine for a few days, if only to show myself that I don’t actually need it. Mind you, that first day sans-caffeine was tough, especially when it involved waking up at 4:45am for a particularly early day at work. But like I discussed in my last post, this was where I began to start my days with warm lemon water, so cutting out caffeine ended up being a good thing! Now, this wasn’t a smoothie or juice only sort of deal, but it was more about eating real foods with simple and fresh ingredients. Basically how I always cook but taking it up a notch. A good benchmark for being more conscious with my choices. I eat a pretty good diet to begin with, tons of vegetables make up most of my meals, but it’s the in-between snacking that really get to me. Switching that up for whatever produce is in-season is gold. These smoky chicken lettuce wraps are a recipe that I developed while I was on a bit of a healthier kick. You may be surprised by the minimal ingredients in here but they pack a ton of flavour. I have another recipe for ginger chicken lettuce wraps which are one of my absolute favourite dishes, so this is a play on those. 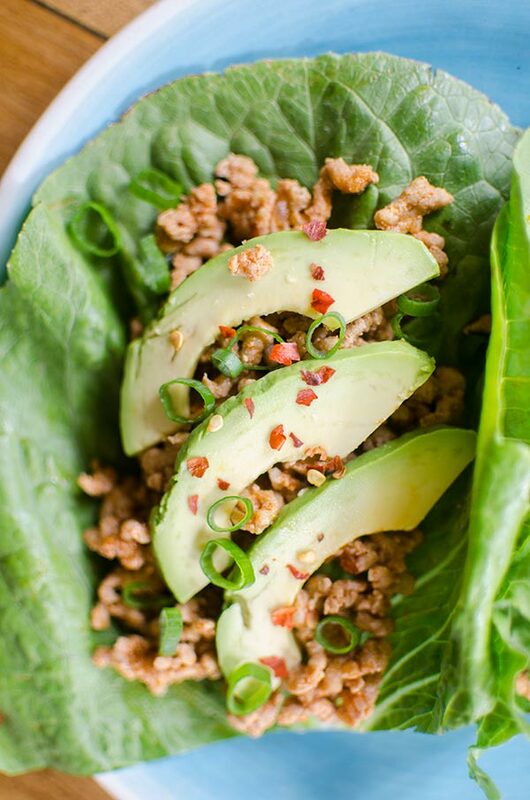 There are just a few ingredients in these lettuce wraps–no hoisin or sriracha. The star of the show is the smoked paprika along with grated fresh ginger and lime juice which add a depth of smoky flavour with hints of spice and zing to these lettuce cups. Add an onion, a few cloves of garlic and you’ve got yourself a super quick dinner! I like to top mine with avocado and scallions. In a large pan heat olive oil over medium-high heat. Add onion and cook for 3-5 minutes or until translucent. Add garlic, ginger, chili flakes and smoked paprika. Cook another minute. Crumble in ground chicken, cook for 5-6 minutes or until fully cooked. Remove from heat and stir in soy sauce, lime juice and sesame oil. Serve in lettuce leaves (I like romaine), top with avocado, green onions and sprinkle with additional chili flakes. 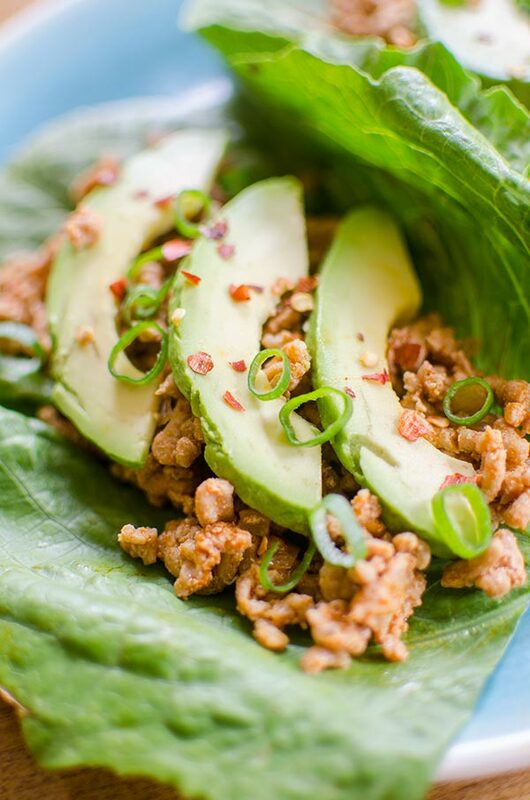 Let me know if you give these easy chicken lettuce wraps a try in the comments below. I am in a similar situation, tried a coffee detox and was amazed that it lasted three whole weeks. But these chicken wraps are so healthy, no way of feeling guilty having one of them! Thanks Mariana! Let me know if you give them a try, coffee detoxes are HARD!